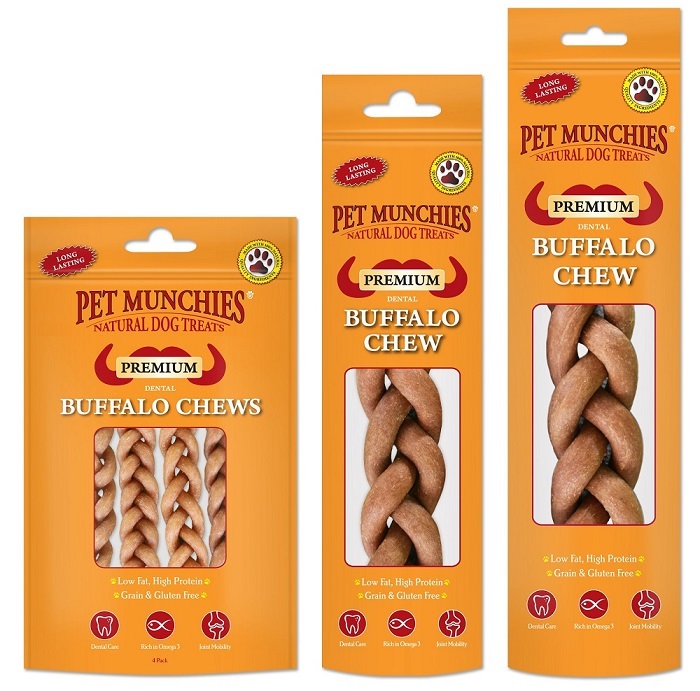 Win a Bundle of Pet Munchies NEW Buffalo Dental Chews! 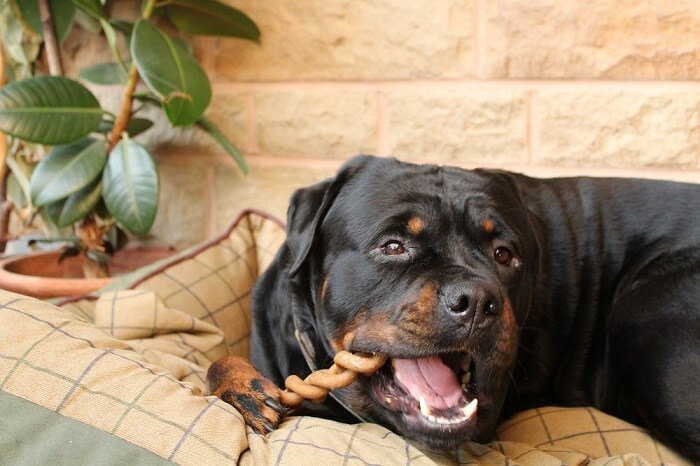 Home > Win a Bundle of Pet Munchies NEW Buffalo Dental Chews! Pet Munchies, makers of premium gourmet dog treats, have teamed up with K9 Magazine this month to offer 7 lucky readers the chance to win three packs of mouth-watering all natural NEW Buffalo Dental Chews! Premium gourmet dental chews made with 100% natural human- grade grass fed Buffalo. This healthy chew is infused with salmon oil which is good for skin and coat, joint mobility due to the rich levels of Omega 3. Long lasting and designed to satisfy your dog’s natural instinct to chew, to help reduce tartar and plaque for healthy teeth and gums to support good oral health. Grain and gluten free, they’re low in fat and high in protein, with no artificial colours or flavours makes this the ultimate chew. Made with quality, human grade real meat, Pet Munchies treats are packed full of natural goodness for your dog without artificial colours or flavours. Naturally low in fat and carbohydrates, all of Pet Munchies treats are delicately roasted to perfection in their own natural juices. Find out more about the delicious and nutritious Pet Munchies treat range online at Pet-Munchies.com. So what are you waiting for? Enter our competition to win one of Pet Munchies treat bundles brimming with natural goodness and treat your dog to something they’re sure to love. 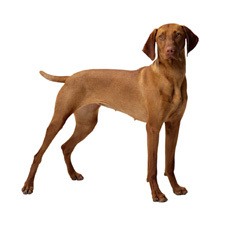 All you have to do is comment on this post here leaving your email address hidden behind your username and tell us your dog’s breed and age, so we can work out which size of chews will best suit your dog. Previous Post: 5 Copies of ‘Hey Dog! Let’s Talk’ to Giveaway! Next Post: Win a Festive Bundle of Pet Munchies Treats!